Ketchikan is the southeastern most city in Alaska and marks the beginning of Alaska’s famed “Inside Passage – a network of waterways that snake through some of the most jaw-droppingly beautiful wilderness in the world.” The city itself has a total area of 5.9 miles, but the borough itself is 1,754 square miles. The city is built on the side of the Coast Mountains, the mountain range along the southeastern coast of Alaska whose peaks form the border between Alaska and British Columbia. As the mountains drop and enter the ocean they create the Alexander Archipelago, a widespread collection of islands that make up Alaska’s southeastern coast. Dr. Sanders completed his undergraduate work at Utah State University in Public Health with a minor in Spanish. He then attended the University of Utah for medical school and completed his residency at Utah Valley Hospital in Provo, Utah. He spent a month in Ketchikan during medical school and that seeded his interest in family medicine and his eventual return to this community. University of Washington Medical School and completed his residency there as well. He is board certified in Internal Medicine. He works both in the clinic and hospital and is the medical director of the internal medicine group. When not working, he spends much of his free time in Meyers Chuck, a remote community 30 miles north of Ketchikan. PeaceHealth Medical Group is a multi-specialty group in Ketchikan and includes 3 family medicine physicians, 2 internists, 1 family nurse practitioner, 3 pediatricians, 3 OBs and 2 certified nurse midwives, 2 surgeons, 1 orthopedic surgeon, 1 orthopedic physician’s assistant and 1 psychiatrist. 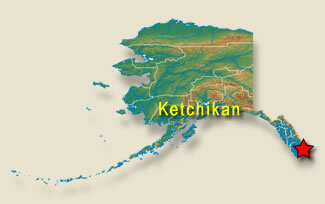 The clinical training will be based at PeaceHealth Medical Group, in Ketchikan. 1800 Craig-Klawock Highway, Craig, AK. Clinical training will also take place at our clinic on Prince of Wales Island. Prince of Wales Clinic is staffed by family physician Dr. Patrick Ballard and nurse practitioner Joe Burke. The clinic provides a wide range of services for this rural community. 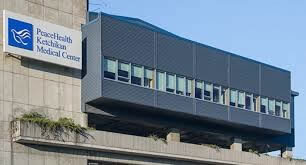 PeaceHealth Ketchikan Medical Center is part of the nine-hospital PeaceHealth health care organization operating in Alaska, Oregon and Washington. It is a 25-bed critical access hospital, with a 23-bed skilled nursing facility, providing comprehensive inpatient and outpatient care. The medical center provides a wide range of inpatient and outpatient services, including 24-hour ED physician coverage, surgery, obstetrics and gynecology, pediatrics, general medicine, psychiatry, orthopedic and sports medicine, hospitalists, advanced imaging, and a sleep lab. Specialty visiting clinics by PeaceHealth and other specialists include allergy & immunology, cardiology, gastroenterology, ophthalmology, otolaryngology, pediatric cardiology, physical & rehabilitation medicine, plastic & reconstructive medicine, podiatry, pulmonology, sleep medicine and urology. The student will spend 4 months in Ketchikan and 1 month on Prince of Wales Island. In Ketchikan, Dr. Sander will be the primary sponsoring family medicine physician. The student will follow patients in clinic over 4 months, including continuity patients in the Pediatric and Women’s Health Clinic following patients to surgery and to delivery. Students will spend time with Dr. Sanders in hospitalist weeks, and follow a patient on our attached long term care unit. Our patient population is diverse with a significant number of Native Alaskans as well as Filipinos. 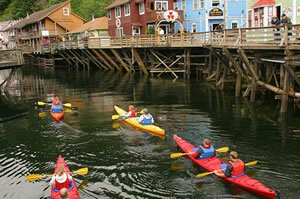 Ketchikan is off of the road system and is not accessible by car. Alaska Airlines provides service from Seattle (less than 2 hours nonstop) and Anchorage. The Alaska state ferry runs out of Bellingham, WA and Prince Rupert, BC. The ferry from Bellingham takes approximately 38 hours and for an additional fee, passengers have the ability to bring their cars, motorcycle and bicycles. Cabins are also available at an additional charge. The climate in Ketchikan is much more similar to that of other Pacific Northwest coastal areas than it is to most other parts of Alaska. With mild summers and wet winters, Ketchikan’s oceanic climate sees highs in the 60s in the summer and lows in the 20s in the winter, with very little snow fall.